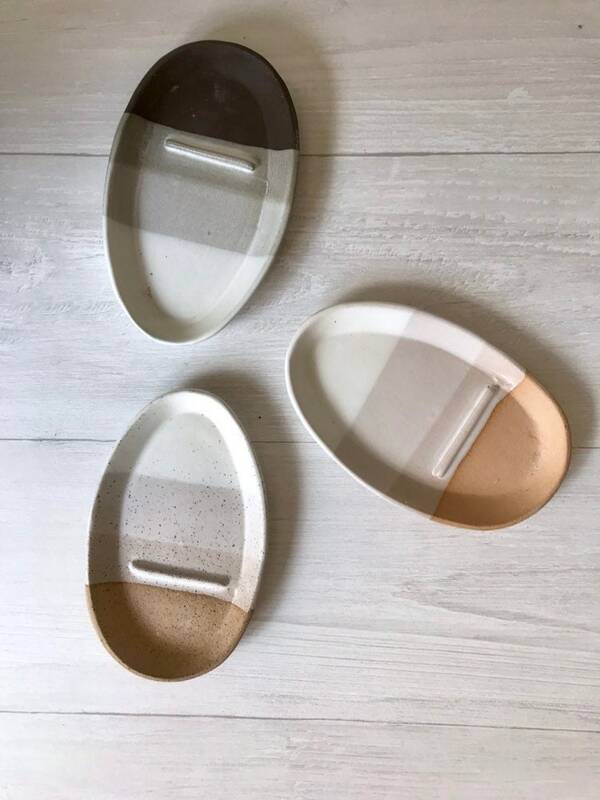 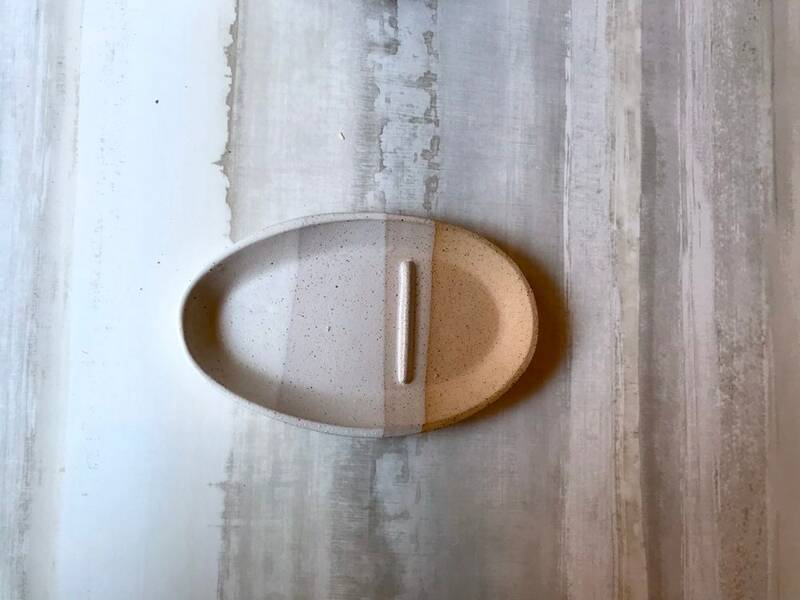 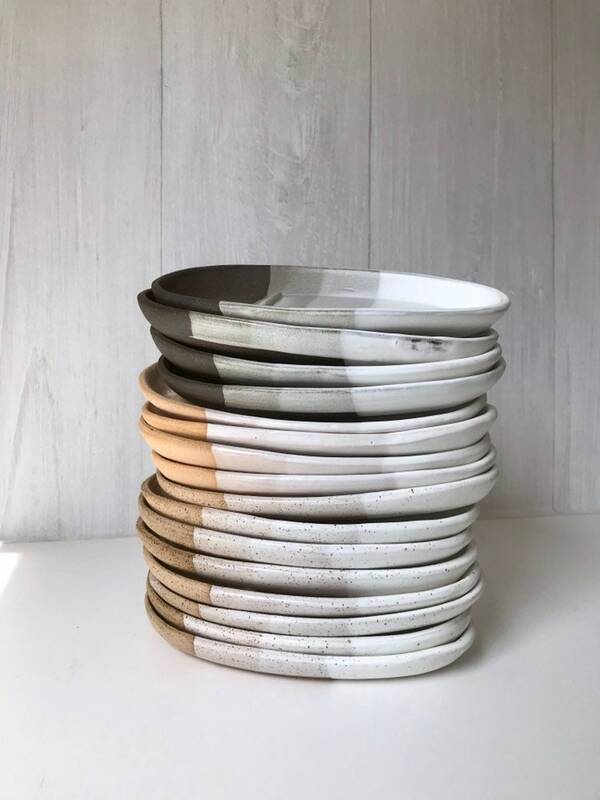 Hand crafted for smudge sticks, this dish was made out of Speckled stoneware, hand dipped in white porcelain then partially glaze with a satin white. 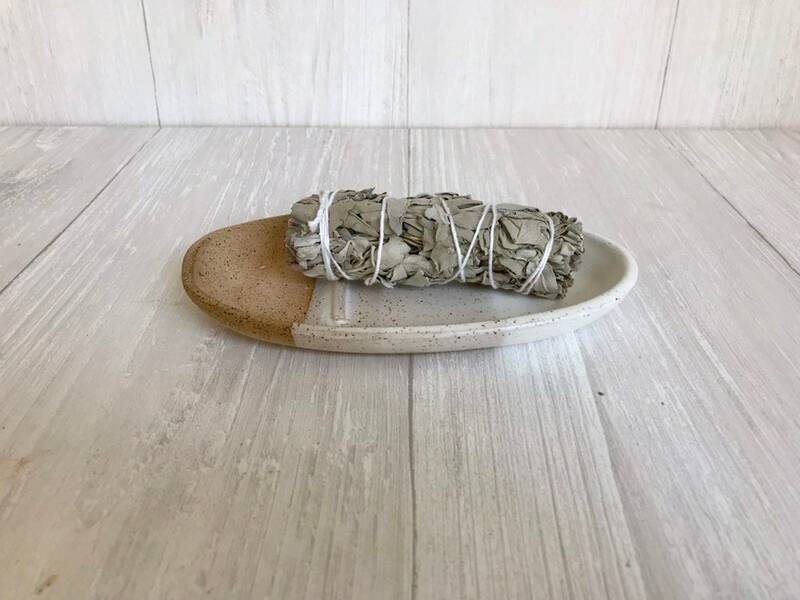 There is a small bar in the dish to aid in burning your sage stick. 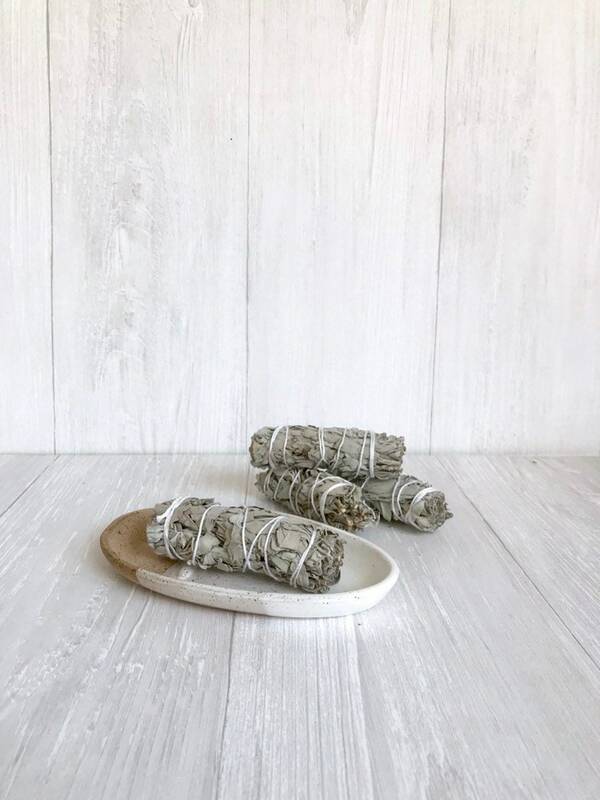 * make it a gift and include a sage stick! 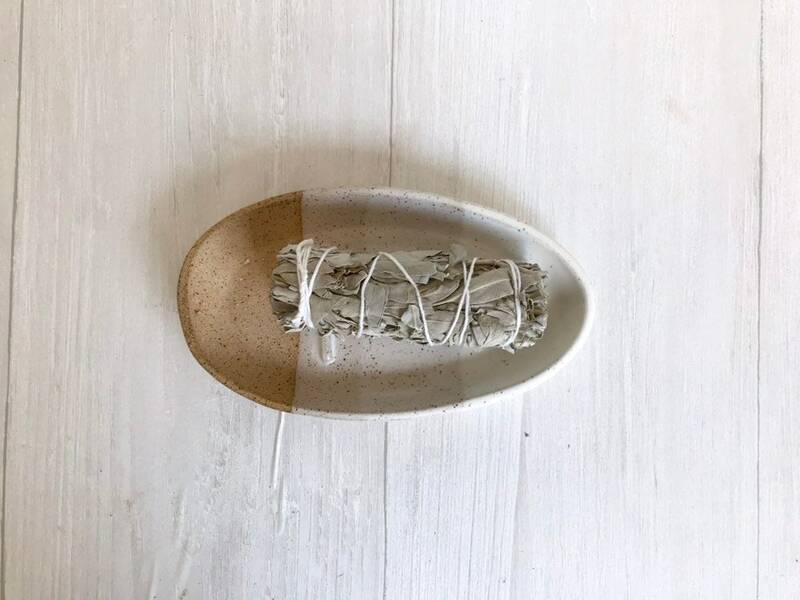 The smudge place is simplistically beautiful. 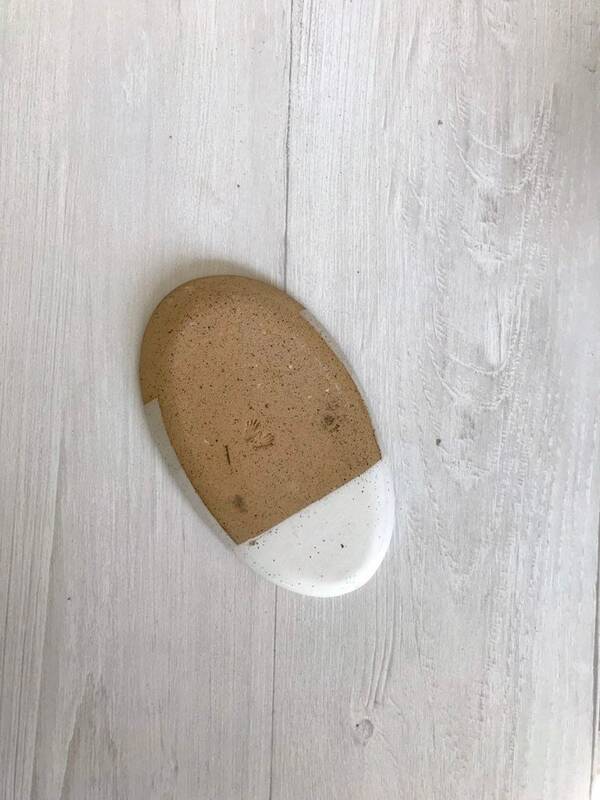 I can’t wait to use it.